Fish Biryani is a popular and traditional Indian dish which is very delicious and nutritious too. 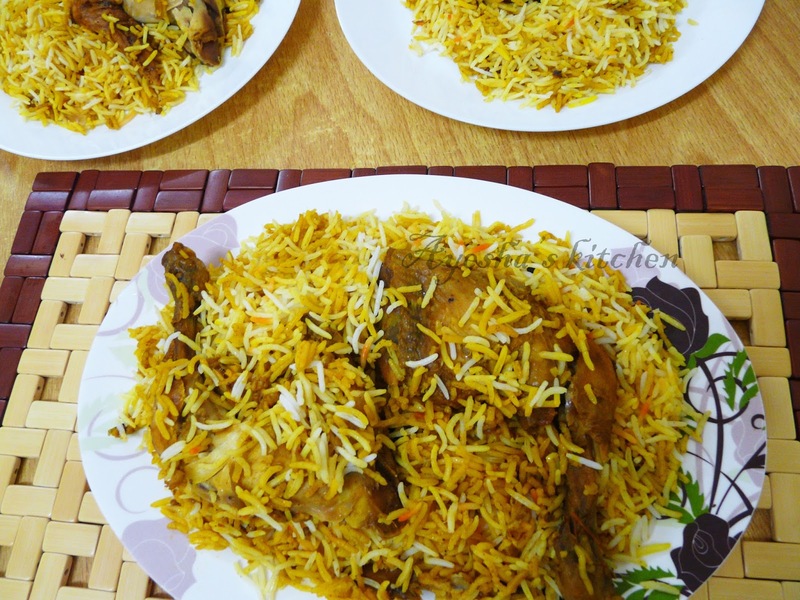 Biryani is an all-time favorite and a heavenly dish, which can be cooked in many variations. 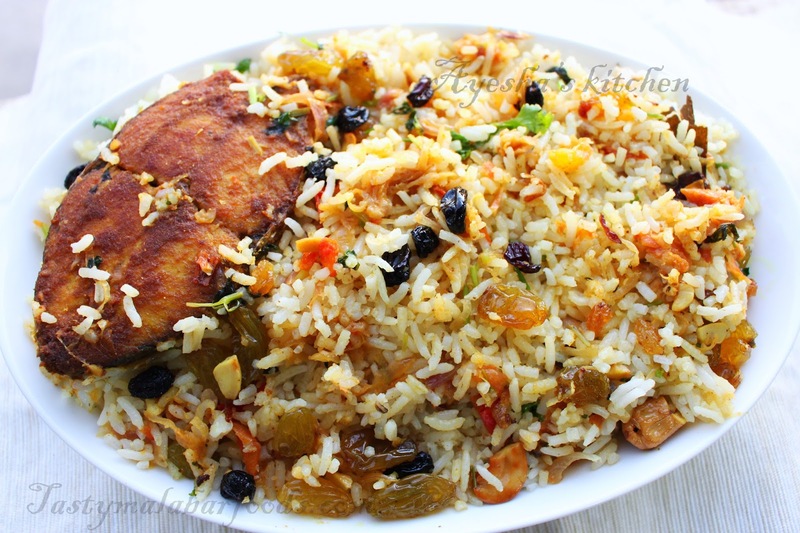 The blending of rice with our favorite masala makes this dish very special. 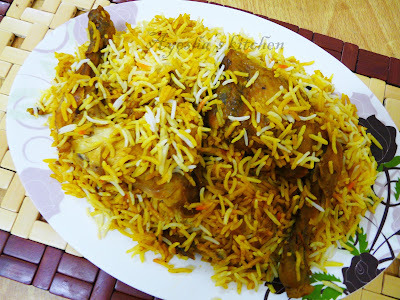 Chicken biryani, Mutton biriyani, Prawns/shrimp biryani, Egg biriyani, Fish biriyani are some variations in biriyani. No party or celebrations are imagined without this delicious and rich biriyani. Fish biriyani is an excellent dish with fish and an amazing rich nutritious dish for all seafood lovers. Fish is marinated, shallow fried, and mixed with the masala gravy, then blended with the cooked rice which gives an aromatic flavor and it tastes simply superb. 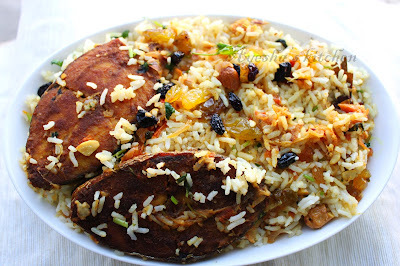 So, foodies, let's see how to make delicious, yummy, tasty, perfect fish biriyani. 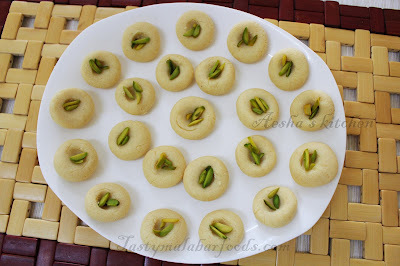 Here is the recipe....Do try and kindly drop your valuable feedback. Clean and marinate the fish with the above all ingredients and keep it aside for half an hour. Heat oil in a pan and shallow fry both sides of the marinated fish. Do not over fry the fish, as it will break while mixing with the masala. Meanwhile, you can cook the rice. So heat a vessel and add ghee. Add the cleaned, drained rice along with the raw spices to it and fry the rice in a low flame for 5 minutes. When done, add 6 cups of boiled water(double the amount of rice). Add some curry leaves and required salt.When it starts boiling, add lemon juice and close the lid. When the water is completely dried, keep the lid open and do not stir the rice when hot or immediately. Let it cool. Now we need to prepare the masala for biriyani. Heat a pan and add oil( can use the same oil we fried the fish). Add sliced onion, green chili, ginger garlic paste and saute well till the onion turns translucent. Then add chopped tomatoes and pepper powder. Cook well, until a thick gravy consistency. Add the curd, garam masala powder, and chopped coriander leaves. Mix well. Now add the shallow fried fish and cook for a while on a low flame. Mix very gently. Next is to blend the rice and masala. So take a greased vessel, spread some cooked rice, then spread chopped coriander leaves and drops of ghee, a pinch garam masala powder, fried onions and then the fish with masala. Again layer the rice and repeat the same process. Finally, garnish with coriander leaves and spread some melted ghee evenly. Allow it to cook on very low flame for 10 mins. While serving garnish with fried cashews, raisins, and fried onion. Panna cotta is one of the traditional Italian desserts of thick sweetened cream with Gelatin or china grass (agar- agar) and then molded . Pannacotta means cooked cream in Italian language. The cream will be flavored with rum, coffee, vanilla or any such flavorings. Mainly it is garnished with chocolate sauce or strawberry sauce or any other. 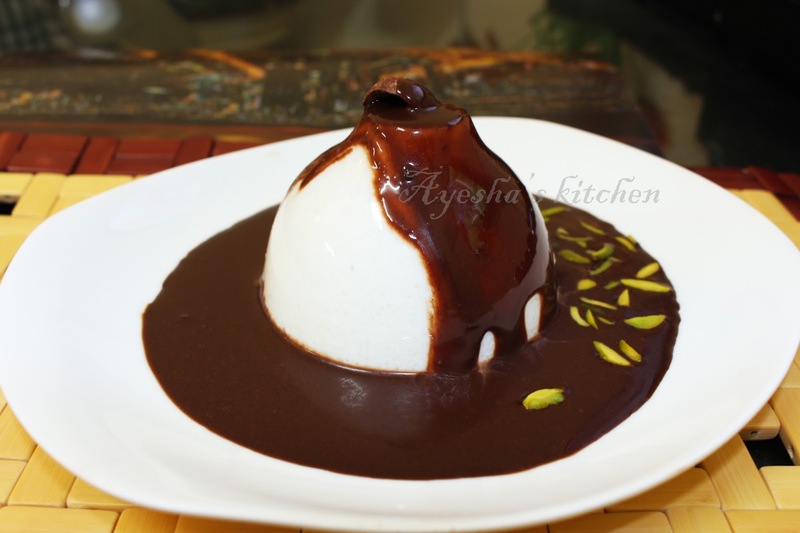 Pannacotta with chocolate sauce results in a yummy creamy dessert that goes well after meals. . 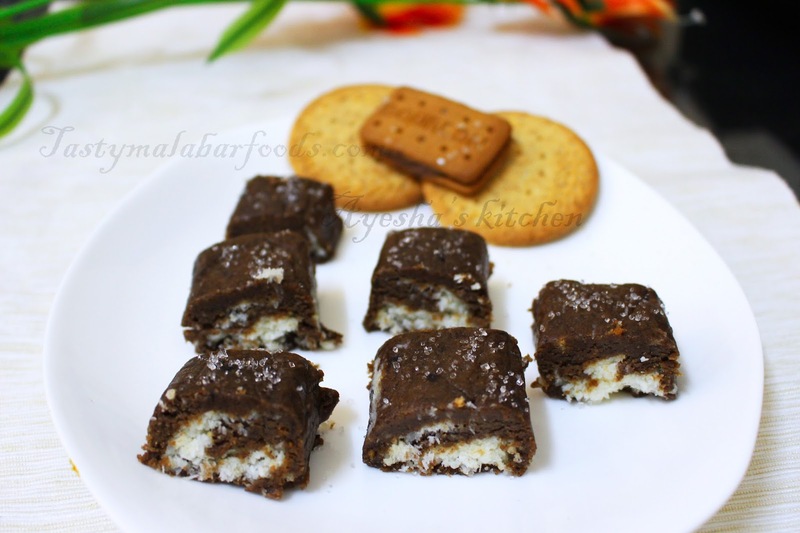 This is a perfect dessert for entertaining kids as they are chocolate lovers. Here is the easy and simple recipe for Panna cotta with chocolate sauce or simply Panna cotta recipe...Lets see how to make Italian dessert recipes /easy Italian desserts recipe for kids / Panna cotta / simple dessert recipe. Enjoyy!!!!!!!! Add milk , whipping cream, condensed milk and sugar in a vessel and combine well. Now turn on the flame to medium and heat it until the sugar dissolves and the mixture is just about to start boiling. Heat for another few minutes in a very low flame, mixing constantly and turn off the flame. Do not ever boil it or heat it for long time , but should be heated and mixed up well. Now strain it to a bowl , add vanilla essence and set aside. Mean while prepare china grass by Soaking it in cold water for few minutes and then cook over a slow flame until it dissolves to a clear liquid . Pour it using strainer to the prepared mixture and combine very well. Pour it to glass cups or any molds. Refrigerate until the panna cotta sets. Keep at least for 2 hours. Once the panna cotta sets, the next step is to prepare chocolate sauce. Grind together all those ingredients given above in a grinder to a smooth thick paste. Transfer it to a bowl and mix well. Chocolate sauce is ready. Gently flip the prepared pannacotta to a plate and Pour the chocolate sauce over the pannacotta and serve immediately. Biscuits are my kids all time favorite tea snack. 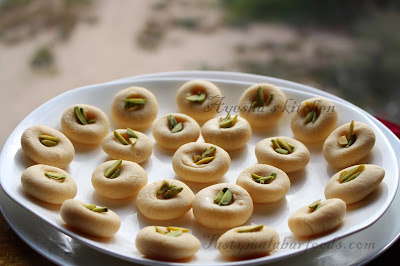 I used to do experiments with biscuits as there are numerous lovely yummy desserts using biscuits. 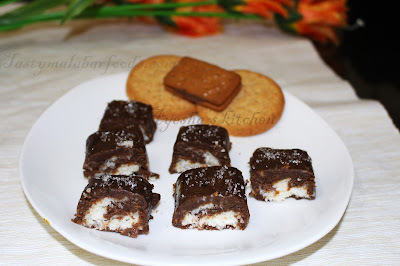 Today i am sharing for you, kids favorite chocolate rolls - a sweet lovely rolls using powdered biscuits and coconut. Here am using oreo biscuit for the chovolaty texture. This chocolate Swiss roll recipe is a no oven recipe too. Moreover this roll ccke can be prepared by kids itself without any mess. A very easy, quick and delicious chocolate roll, with very few ingredients. Do try and enjoy with your kids.!!! Grind the biscuits together into fine powders and mix them well. To this, add milk drop by drop to make a smooth dough. Do not pour the whole milk at a time. Only few tbsp is needed for the dough. Make a smooth dough and set aside. Now make the coconut mixture. Take desiccated coconut in a bowl. To this add sugar ( can add more or less ) , melted butter and mix wel. You will get a sticky texture by adding 2 tsp of milk. So the filling is ready. Now keep the biscuit dough on a silver foil and roll it gently with a rolling pin or can do with your hands. Spread the coconut mixture and roll the biscuit sheet slowly. Shape it like a long bar and cover it tightly with the foil. Freeze it for 5 hours. Fish and seafood plays a great role in South Indian cuisine, mainly Kerala. As the state Kerala has large inland water bodies, the river fish and lake fish are abundant. 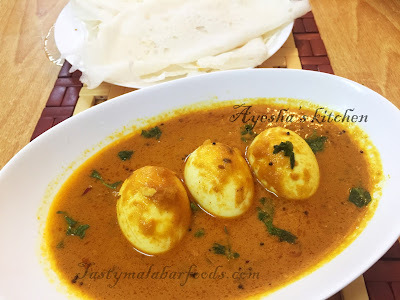 So daily meals in most of the Kerala households includes any one dish with fish like fish coconut curry, prawns fry, squid fry, crab roast, crab masala and so on. Crab is my husband's favorite seafood, but for me it is prawns only. So i don't make dish with crab quite often. I make lots of varieties with crab and never prepare the same recipe again and again. But after trying out this recipe, me too was addicted to crab and now i follow this recipe all the time whenever i deal with fresh crabs. If you are making crabs for the first time, then i recommend this recipe. My husband loves crab roast with gravy but he dislikes seeing the sauteed onion and tomato in the gravy. He was the inspiration behind this special crab (njandu) roast that turns out really perfect. Crab is a seafood that can increase your immunity. For all crab lovers, its a great information as they can include it in daily meals. This is my own special crab roast. 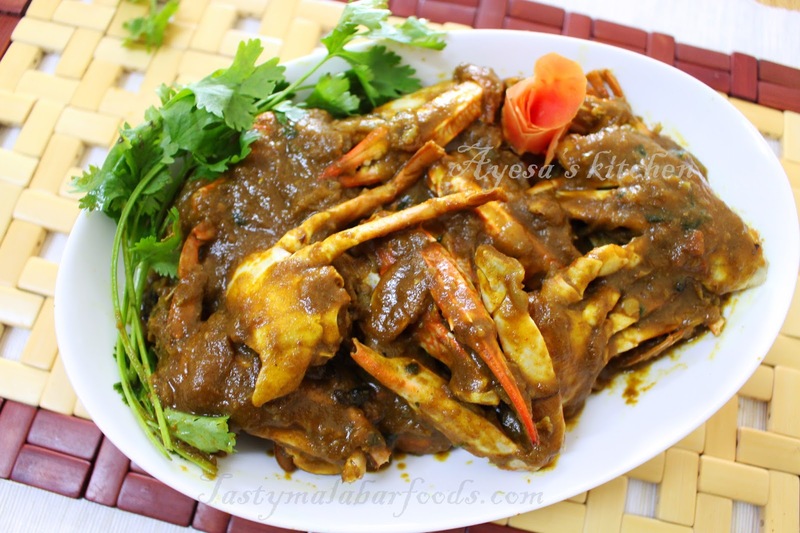 I just cooked the cleaned crab with some spices and then cooked them in the sauteed gravy. When done, i had taken out some gravy from crab roast, dried them separately in a pan, pour it over the roasted crab. This makes this roast dark, thick and the crab gets well coated with all the spices that makes the roast finger licking tasty. So enjoy my special crab roast / crab masala with your loved ones. 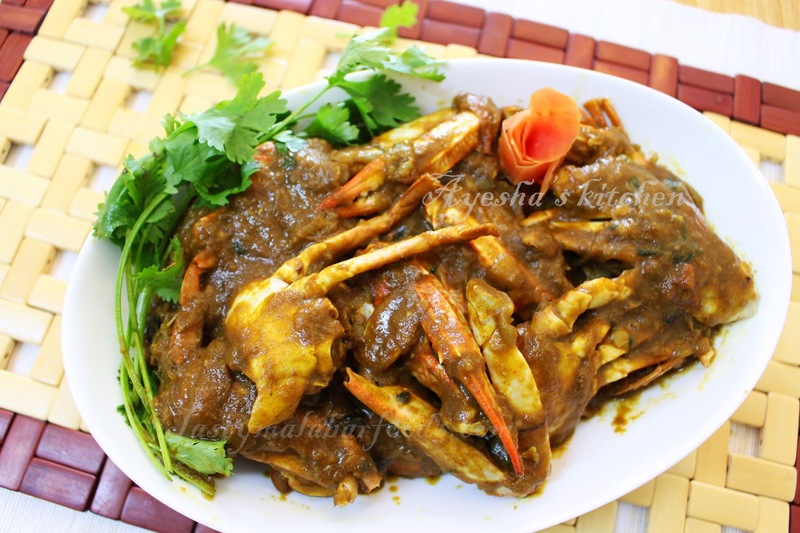 Marinate the cleaned crab with 1 tsp turmeric powder, 1 tbsp chili powder, 1 tbsp coriander powder and salt. Cook it for 10 minutes in a medium flame with closed lid. No need of adding water, as the crab will release water once heated. Mean while heat oil in a pan / vessel and add ginger garlic paste. Saute it till the raw smell disappears and then add the sliced onion. Saute onion in a medium flame till golden and when done add green chilies. Saute it for a while and add 1 tsp turmeric powder, 1 tbsp chili powder, 2 tbsp coriander powder, salt . Mix well. After few minutes, add sliced tomatoes and cook it until thick consistency. And now add the cooked crab and mix well with the gravy. Cook for 10 minutes with closed lid and you can see the roast goes watery. So take some gravy out and dries it in a separate pan in a high flame for 5 minutes. This thickens and darkens the roast. Finally pour it over the roasted crab and garnish with chopped coriander leaves. Stir fry beef with incredible flavors of spices in each piece makes this dish outstanding. 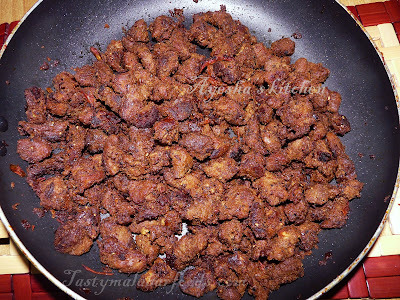 Here am sharing the recipe for stir fry beef/beef ularthiyath - my mom in law's hot and spicy mouth watering recipe. Trust me, it tastes great and really superb. Kerala, the god's own country is very famous for toddy shop beef fry, Tattu kada ( Street side fast food stall )special beef ularth and paratha, Kerala restaurant beef stir fry and so on. There are thousands of regional variations in this spice rich Kerala beef stir fry with several names like beef pepper fry, beef chilly, beef dry fry, beef olarthiyath, naadan beef fry, erachi olarthiyath and so on. 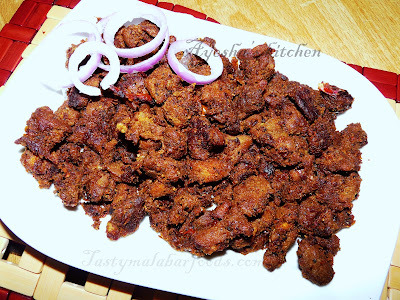 Today am sharing with you a soft, spicy and tempting dish with beef. Let's see how each piece of beef is fully coated with the freshly ground spices gravy which gives an aromatic flavor and finger licking taste that will surely leave you craving for more. Beef is pressure cooked with all the spices and then fried along with sauteed onion and tomato until the beef is fully coated with this gravy. Here is the recipe showing how to stir fry beef / stir fried beef/beef Kerala cooking / Kerala cuisine beef recipe. Marinate the cleaned and cubed beef with 2 tbsp coriander powder, 1 tsp turmeric powder, 2 tbsp ginger garlic paste, 2 tbsp chili powder, 1 tbsp pepper powder, 1 tsp garam masala powder, 1 tsp fennel seed powder, and salt. Pressure cook it for 2 whistles without adding water, as the beef itself will release water when heated. Meanwhile, heat a nonstick pan and add oil. Saute the onion till golden and then add 2 tbsp coriander powder, 1 tsp turmeric powder, 1 tsp chili powder and 1 tbsp pepper powder. Mix well. Now add tomato and cook well. When done add the half done beef along with its stock water to this gravy and cook for 30 minutes in a medium flame, stirring occasionally. Check for salt and add curry leaves. Stir fry it until the beef is well coated with the masala. When done, drizzle some coconut oil and stir for other 2 minutes. This gives a glaze to the fried beef with a fine aroma. Serve as a side dish with parotta, chappati, rice, ghee rice etc.. 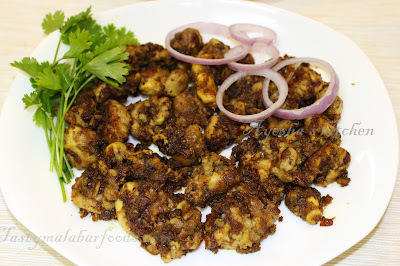 Here am going to share the traditional recipe of malabar lamb brain fry. This is my grandma's special recipe made with spices and red shallots (small onions). Goat brain/ lamb brain is available in almost all meat stores in Kerala. It is tastier when served with dosa. 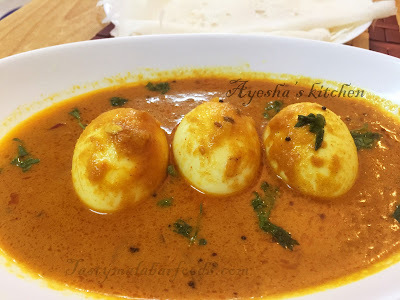 Do try this tasty classic recipe and feel its goodness. Make a ground paste of small onion, garlic, cumin seed, turmeric powder, coriander powder, pepper powder. Marinate the beef brain using this paste. Add salt. Take a nonstick vessel and put the marinated beef brain along with half cup of water. Cook until it thickens. Do not stir continuously. When the water and the brain come to the required consistency switch off the flame. Now take another pan and heat coconut oil (preferably) and fry some sliced small onion and add the cooked brain to this. Fry well in a low flame. 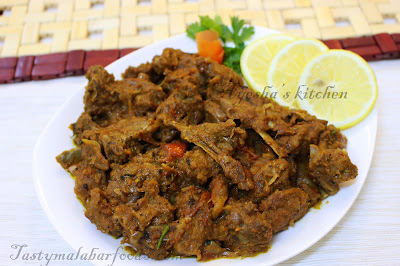 Roasted mutton / roasted lamb is a lip smacking dish with an aromatic taste . It makes a delicious combo with Indian roti, chapati , Ghee rice and even rice too. 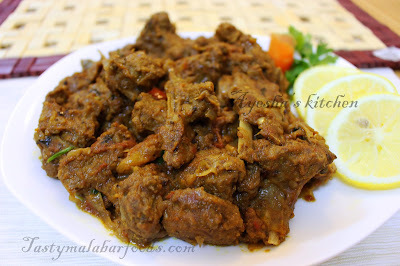 Kerala style Mutton roast can be available in many South Indian restaurants with amazing taste but mostly ends up with some digestive problems. Thus i prefer home cooked food which is healthy and tasty too. Chettinad cuisine ( a region in Tamil nadu state ) offers a wide variety of veg and non veg dishes. The chettinad dishes are well known for its taste and the freshly ground spices used in their dishes. The most popular among them are chettinad chicken curry, chettinad mutton varuval or chukka.. 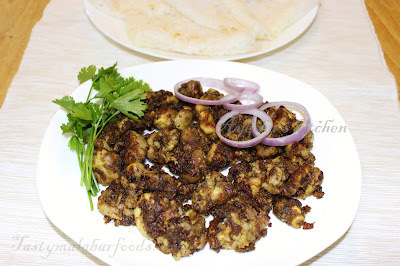 Here am sharing the best recipe for mutton roast in chettinad style. Now a days, in most of the restaurant in South India mainly in Kerala, chettinad dishes plays a great role in their menu. 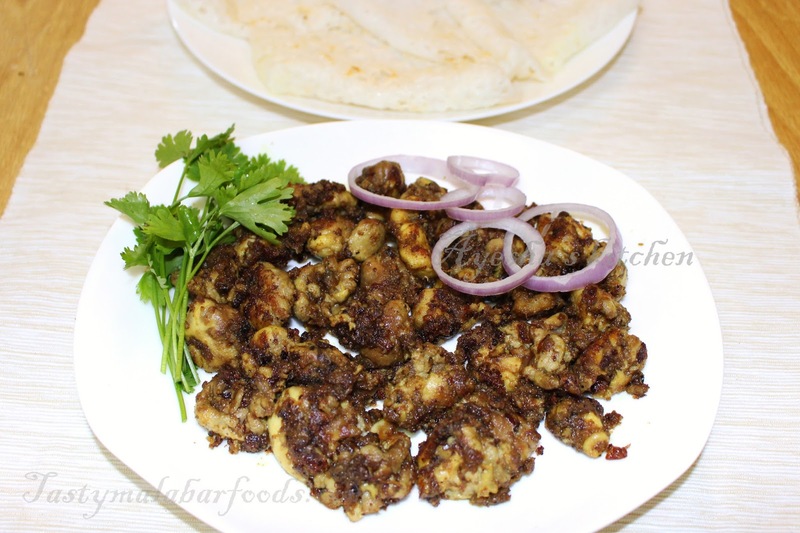 This is my first chettinad recipe with mutton and it really became hit in my family. Here is my recipe for Chettinad restaurant style mutton roast, Kerala mutton roast. Do enjoy!!!! Marinate the cleaned, washed and drained mutton pieces with turmeric powder, chili powder, coarse grind dried red chili, coriander powder, ginger garlic paste, chopped tomato and salt. Pressure cook it until 3 whistles. Do not add extra water, as the mutton itself will release water while cooking. Meanwhile heat oil in a non stick pan or kadai. Saute the sliced onion until golden in a medium flame. When done, add green chili, garam masala powder, cumin seed powder, fennel seed powder and salt. Saute well for few seconds and now add the cooked mutton along with its stock water. Mix well and cook until the mutton is well coated with the gravy. Finally add chopped coriander leaves and curry leaves. You can also drizzle some hot coconut oil over it and mix well. This makes the gravy more aromatic and flavorful. Our tasty chettinad mutton roast is ready to serve..Enjoy !!! NOTE: Here i used garam masala powder instead of spices like cardamom, star anise, fenugreek, cinnamon and cloves. So you can use the same instead of garam masala powder. If so, u should dry fry it in a pan before sauteing onion and then powder it well. I used more amount of coriander powder which makes this roast more tastier. This roast is a spicy recipe. You can add less chilies according to your heat tolerance.
'' Cream of mushroom soup " is a veggies chicken soup, i think. Am not a vegetarian but a pure non vegetarian. So far i used to make chicken soup, tomato soup, corn soup and occasionally mutton soup too as they are my family's favorite soup recipes. This is the first time i made a mushroom soup that too a creamy soup with my favorite veggie. I searched google for the best mushroom soup recipe. But am not at all satisfied with any. So i searched Wikipedia and got a fine recipe, which i made alterations to suit my own taste. This is an easy, refreshing and delicious creamy soup recipes with mushroom. The is recipe is quite amazing and sure you all will love this. Here the cream of mushroom soup ingredients are sauteed in 2 tbsp of butter and i used only less amount of cream, as i prefer less creamy. You can also add vegetable stock instead of water. 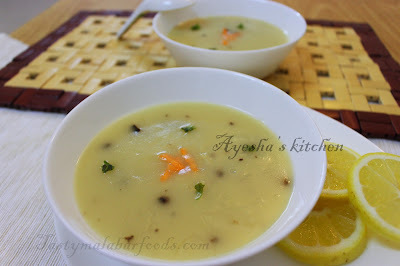 Lets enjoy this winter with healthy and tasty soups. 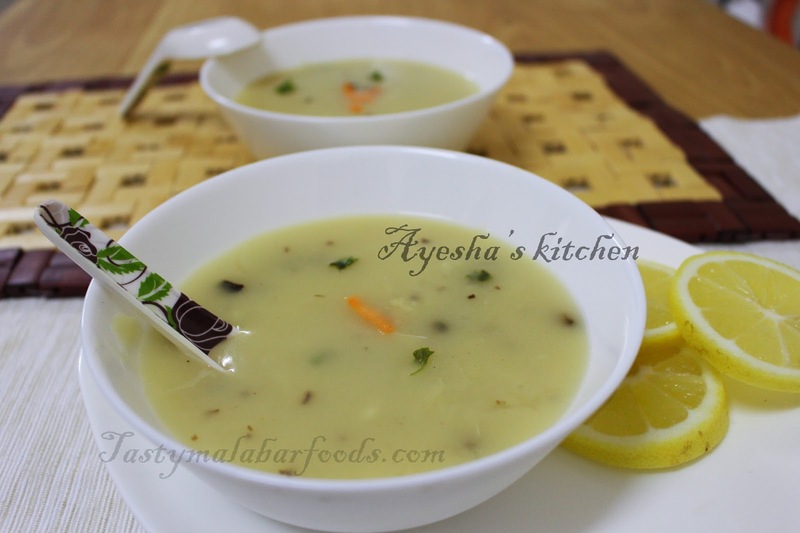 Do try this easy recipe for mushroom soup. Heat butter in a sauce pan and add bay leaves. Saute for few seconds. Now add finely chopped onion and finely chopped garlic. Saute till it become translucent. Add in finely chopped mushrooms along with a pinch turmeric powder ( i used less than 100 gms of mushrooms only ). Saute well till the mushroom starts to release water. Now cook on high flame to dries up the water in mushroom and the mushroom will become brownish. Then add the flour / maida and saute for few minutes until the taste of flour disappears. Add water, followed by milk and brings to boil. Add salt and pepper powder. Mix well. Once it starts to boil, let it simmer for few minutes. Now add the cream and chopped parsley or coriander leaves and again boil for other 3 minutes in a very low flame , stirring continuously. When done remove from flame and serve hot.